Moscardo, Gianna, and Pearce, Philip L. (2004) Life cycle, tourist motivation and transport: some consequences for the tourist experience. In: Lumsdon, Les, and Page, Stephen J., (eds.) Tourism and Transport: issues and agenda for the new millennium. Advances in Tourism Research . Elsevier , Oxford, UK, pp. 29-43. In the pioneering days of tourism study, Wahab (1975) argued that the area of tourist motivation is basic and indispensable in tourism analysis and fundamental to tourism development itself. Motivation is commonly seen as the driving force behind human actions (Crompton 1979; Fodness 1994; Iso-Ahola 1982). It is therefore a starting point for studying tourist behaviour and beyond that for understanding systems of tourism including the use of transport modes and their meaning (Gunn 1988; Mill & Morrison 1985; Pearce et al. 1998). 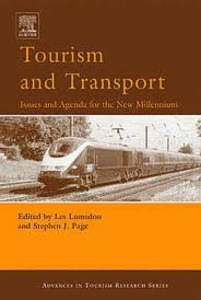 This chapter will bring together an analysis of tourist motivation and the multiple roles of transport in the tourist experience. This analysis will proceed by briefly exploring some of the existing work pertaining to tourist behaviour, tourist motivation and transport. As an extension of the existing work a conceptual map developing the connections between life cycle, tourist motivation and the roles and experiential consequences of transport choice will be constructed. The presentation of this conceptual map of the proposed links between tourist motivation and transport use and the consequences of other linkages will be followed by a case study of road travellers in Northern Australia. The material to be reported includes survey data from both international and domestic visitors to the Northern Queensland region. The case study provides empirical evidence pertaining to the links proposed in the conceptual map. A consideration of the rich and varied possibilities for research in this area will form a concluding part of this review.